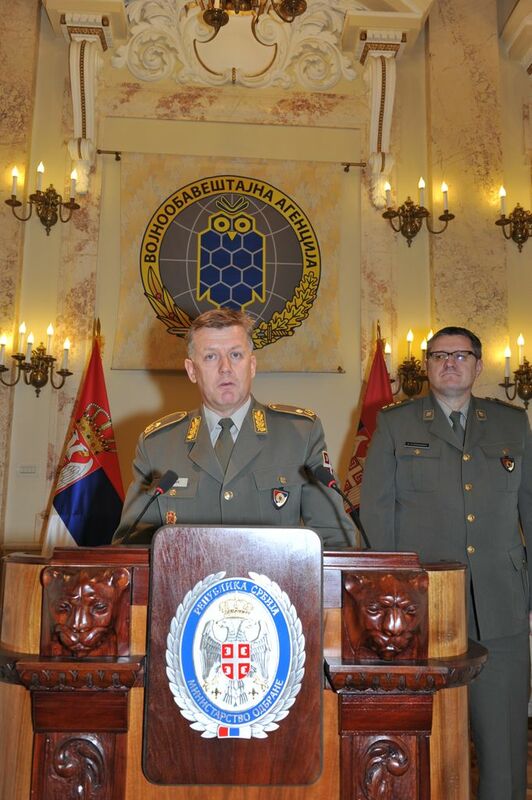 On the occasion of the Day of the Military Intelligence Agency, the Director of the MIA Brigadier General Slavoljub Dabic has handed out the rewards to the members of the Agency at the Great War Hall of the Old Army Headquarters building. 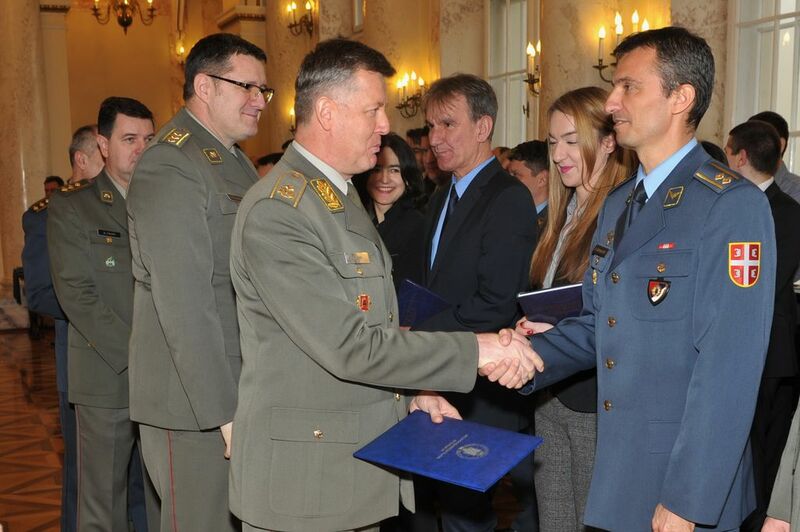 In the addition, on the occasion of this event, the Director of the Military Intelligence Agency has also handed out the plaques to the retired members of the MIA. 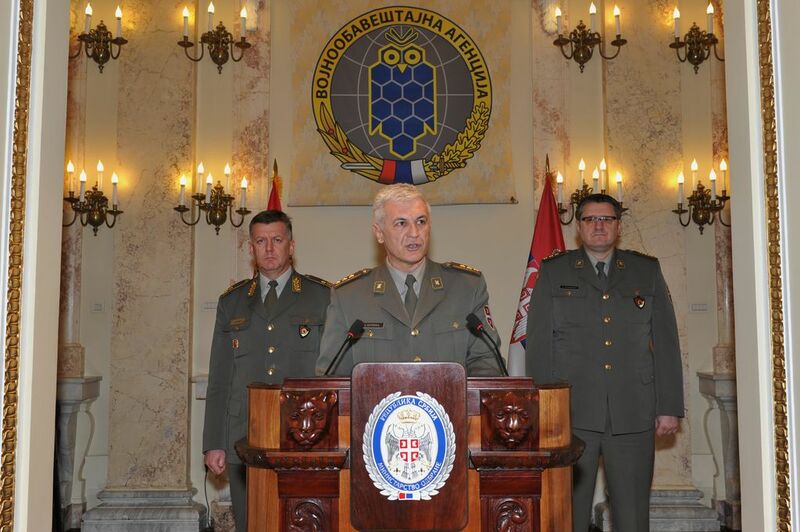 He has assessed that the character of security challenges, risks and threats has changed in the 21st century and that the work of the Agency over the previous period was marked by an intensive engagement of all the members to protect the interests of the Republic of Serbia. 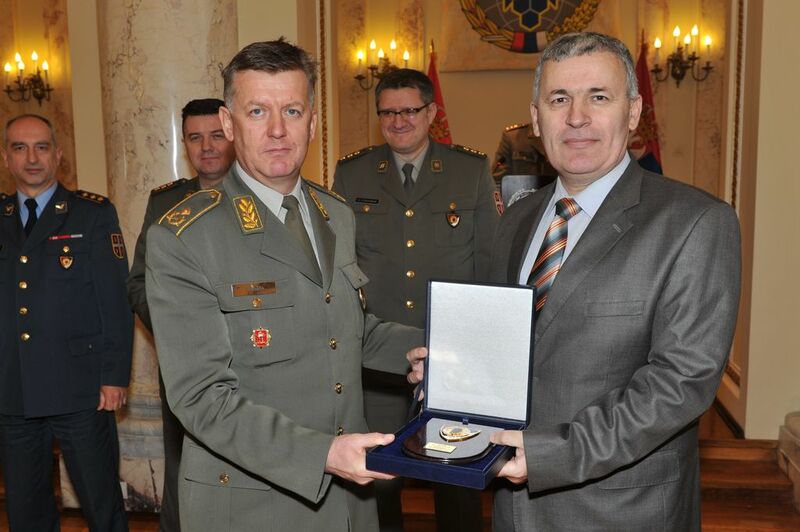 The Brigadier General has emphasized that the rewarded members of the Military Intelligence Agency got their awards deservedly as stimulus measures for their commitment, professionalism and responsible work. 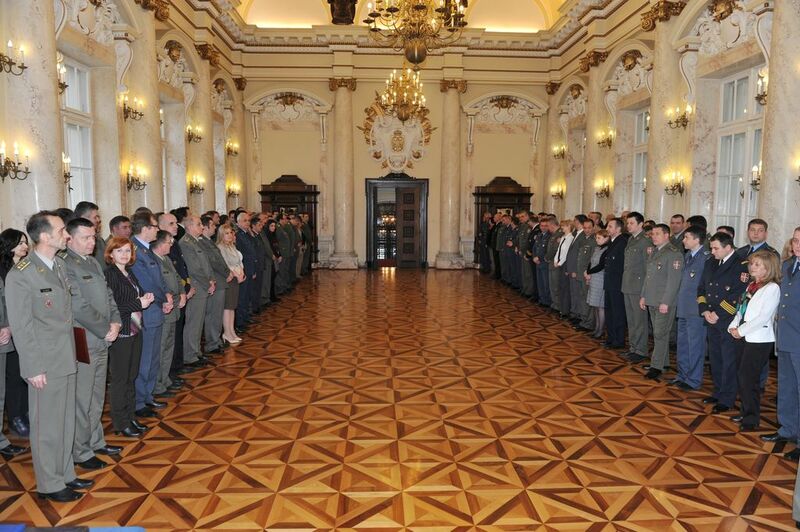 He has praised all members of the Agency for the good quality of their work and professionalism, adding that he expects all the rewarded, as well as all the other members of the Agency, to continue to carry out all tasks in order to defend and protect the interests of the country. 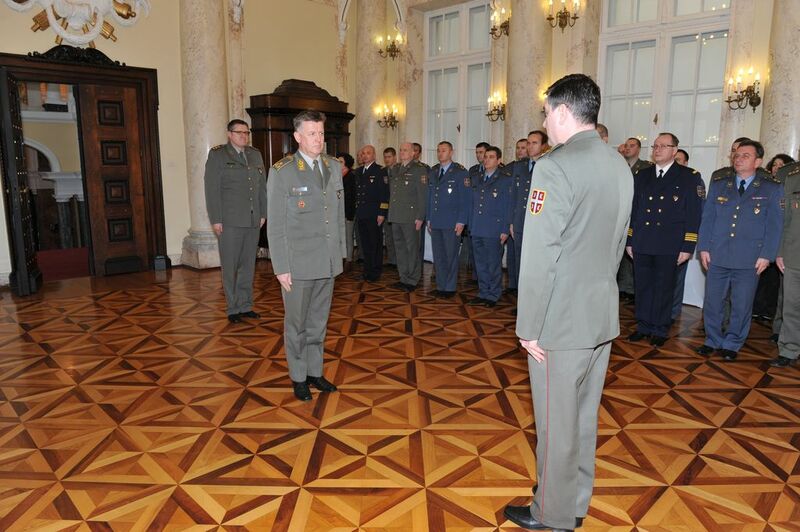 In the addition, at the end of this event, Brigadier General congratulated the Day of the Military Intelligence Agency to all the members.